The weeping blue atlas cedar, also known as the Cedrus atlantica ‘Glauca Pendula’ and the Cedar of Lebanon, is and evergreen conifer tree grown in residential landscapes and ornamental gardens for its gorgeous foliage with the flowing limbs drooping gracefully to the ground. The tree can grow up to twenty feet tall and ten feet wide with the silvery green needles being less than two inches long. The cones of the weeping blue atlas cedar are no more than six inches long and do not attract birds and animals. The tree cannot tolerate extreme climates and are best grown in USDA (U.S. Department of Agriculture) plant hardiness zones 6 through 8. This article discusses how you can grow this beautiful tree in your ornamental garden and what you have to do to take care of it. Sunlight: This tree prefers full sunlight; but, can tolerate partial shade. Six to eight hours of direct sunlight every day is ideal for its growth. Make sure to plant the tree in a site where it will remain protected from strong wind while still getting enough fresh air. Soil Requirements: Proper drainage is the most significant growing condition required for the blue atlas cedar. 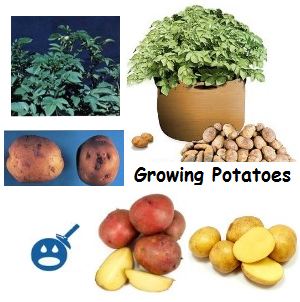 You can grow them in any type of soil from sandy to clay as long as it has a good drainage system. Deep, loamy soils are ideal for growing these trees. They can tolerate soils that are acidic or slightly alkaline, but have a low to moderate tolerance for aerosol salt. Humidity Requirements: The weeping blue atlas cedar prefers average to low humidity levels. If you are planting multiple weeping atlas cedar trees, make sure to keep enough distance between the trees so that they can grow and spread independently. Avoid planting them beside walkways or in locations where they are likely to be crowded by other trees. 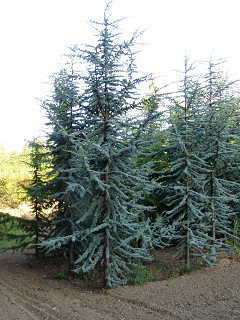 The weeping blue atlas cedar can tolerate heat and drought when planted in a site where it can spread out its roots. It is advisable to carry out a small test to find out how to prepare the soil for this tree. Take a shovel and make a small hole in the ground where you want to plant the atlas cedar tree. Fill the hole with water and wait for 15 minutes to see whether the water has been absorbed by the soil or is it still there. If the water does not get absorbed by the soil, you need to amend two cubic yards of the soil with equal amounts of peat and sand. This helps to improve the drainage so that the tree can grow properly. First you need to dig a planting hole which should be as deep as and at least twice the width of the root ball. Pour around 1.5 gallons of water in the hole to minimize the transplant-shock to the blue atlas cedar roots. The next step involves removing the plant from its container to plant it. Take out the plant gently using your fingers, making sure not to pull on the trunk or damage the roots in any way. Loosen any pot-bound or coiled root before planting. Now, set the plant in the planting hole and make sure keep the top of the root ball higher than the ground level before filling the hole with soil. Fill in the planting hole while pressing the soil around the roots firmly to keep the plant secure and eliminate any air pockets in the soil. Now, water the plant slowly with about 3 gallons of water to help the root system establish properly. Watering: You need water the tree regularly during the 1st year of growth so that the soil around it remains moist all the time. Use a soaker, drip or bubbler hose for watering as they make sure that the water reaches the roots of the tree. You do not have to water the tree as often once it becomes well established. But you should provide the tree with one inch of water every week during dry seasons for maintaining its lush green foliage. Fertilizing: The weeping blue atlas cedar needs to be fertilized each year during the spring. 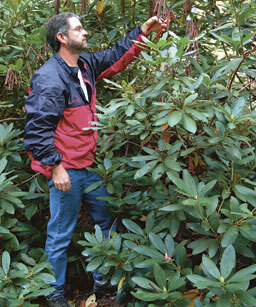 It is recommended to use a specialized evergreen fertilizer for the tree. Make sure to water slowly in the fertilizer if you are using a granular fertilizer to prevent over-fertilizing the tree. Staking: You need to stake your tree properly when young so that it does not become prostrate and creep along the ground as it grows. Staking provides the support the blue atlas cedar needs in order to grow into a gorgeous landscape tree. Set a wooden or metal stake into the soil next to your atlas cedar tree; take care not to damage the tree root. Use some nylon strings to tie the tree stem to the stake so that the tree can stand upright. As your blue atlas cedar grows taller, continue tying its stem to the stake. You need to keep the ties approximately 6 inches apart from each other. Stop staking the tree once it attains the desired height. Pruning: Pruning the tree once in a while is important as well as this help it to keep a proper structure instead of crowding your sidewalks. However, you should not prune the tree severely as this will ruin its aesthetics. Now you know the basics of how to grow and care for a weeping blue atlas cedar tree yourself. It is a low maintenance tree having high resistance to pests and diseases. 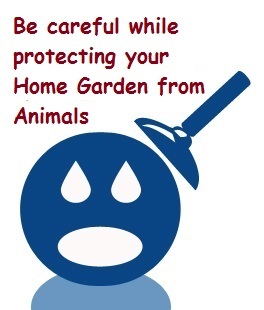 But, it is advisable to consult an expert if you suspect disease or pest.